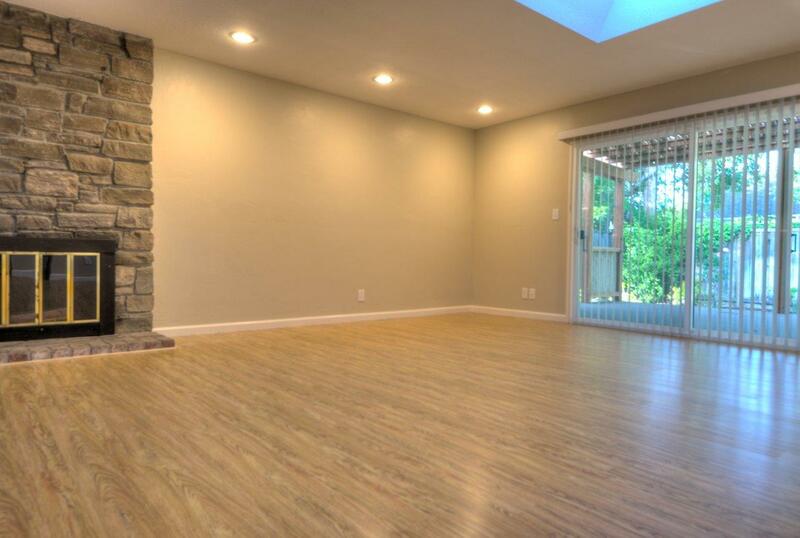 $ 5,200 / month | 4 bedrooms | 2 bathrooms | 1389 sq. 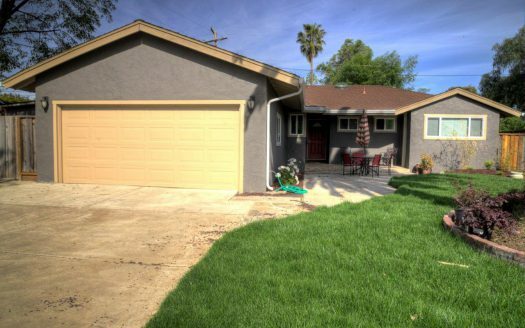 ft.
Intempus Realty is pleased to present a newly remodeled 4BD 2BTH single family home secluded in a quiet cul-de-sac in Los Gatos, very close to two major freeways, Good Sam Hospital, shopping and award winning schools. Top Los Gatos Schools consist of Blossom Hill Elementary (951 API), Fisher Middle (932 API), Los Gatos High (883). Many designer touches adorn the home like multiple skylights which bounce an abundance of natural light throughout the home which can really save on that energy bill. 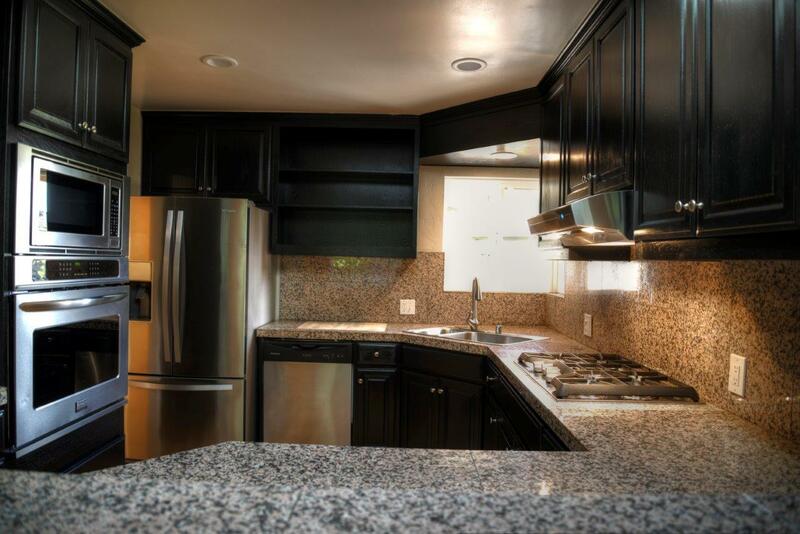 The kitchen is designed with a chef in mind with all brand new stainless steel appliances, gas range, ample cabinet space, gorgeous granite counter tops with a uniquely inlaid cutting board. There is plenty of space in the kitchen for the family to gather around. Convenient breakfast bar for those casual meals or just hanging out. Open floor plan for those extra special family gatherings. Large living room with a cozy wood burning fireplace. Elegant hardwood floors throughout with a striking stone entry way. Four good size bedrooms to accommodate any size requirements. Each bedroom has large windows to allow lots of natural light. Master bedroom features a convenient in-suite bathroom and plenty of closet space. 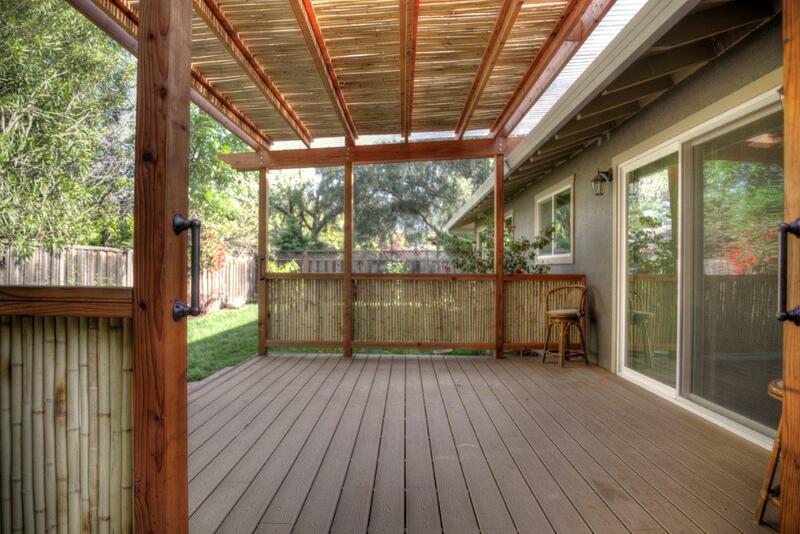 Luscious landscaping with covered back patio for entertaining or summertime relaxation. This is an ideal space for any gathering or BBQ. Large storage shed with a stunning meditation\sitting area. 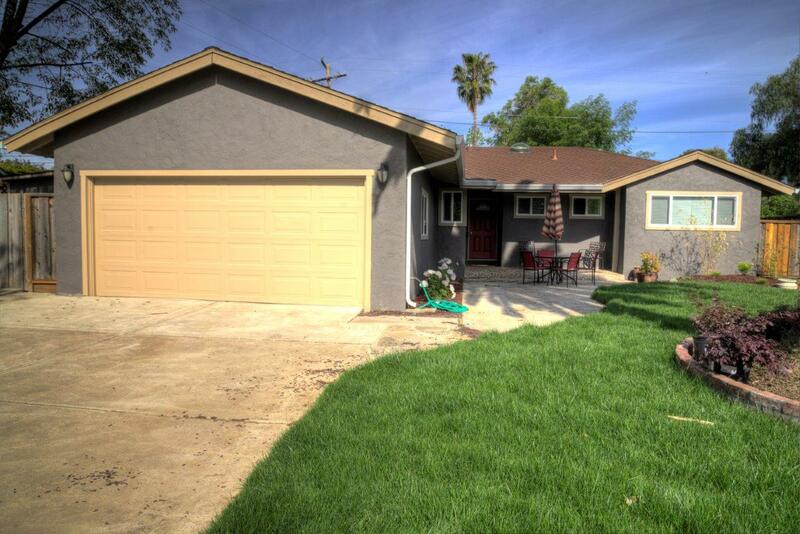 Spacious spotless and finished two car garage with washer and dryer. Short trip to downtown Los Gatos with many dining and entertainment options. Near shopping, freeways and many major employers like Netflix.